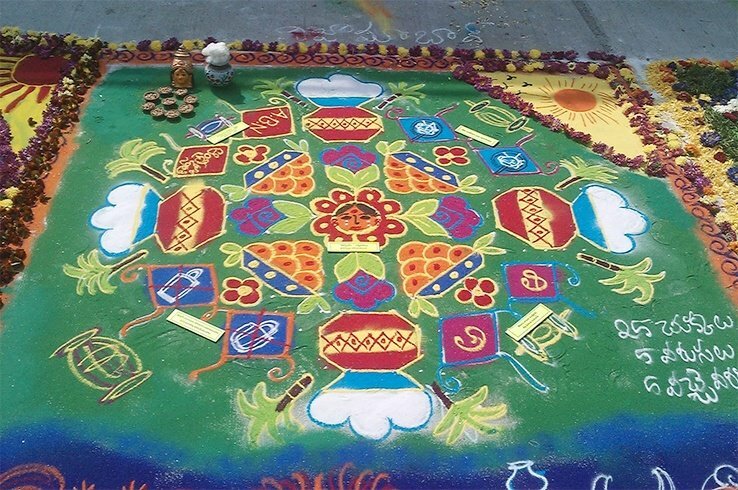 During Makar Sankranti/ Pongal, many states in India celebrate to announce the harvest season by making Rangoli outside their houses in new designs. 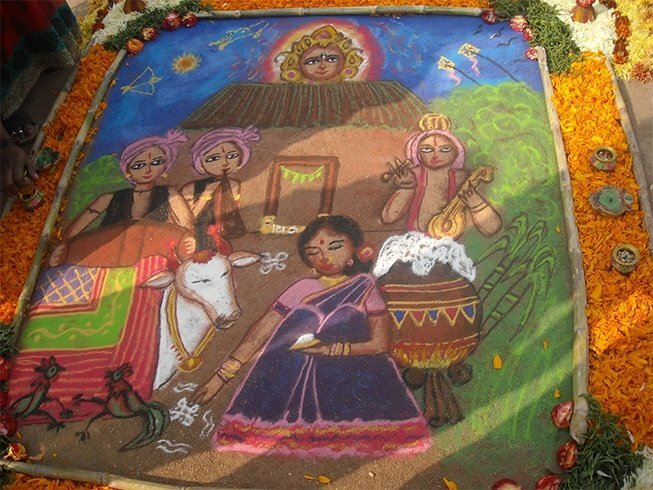 The first harvest done on this day is used to feed the family members and neighbors. 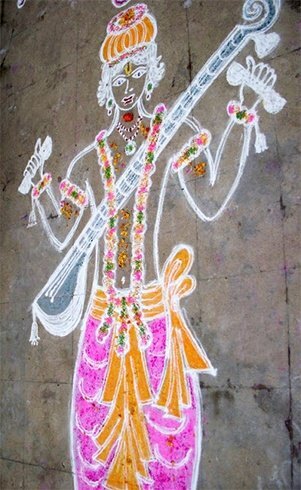 It is on this day that the season of Spring begins. 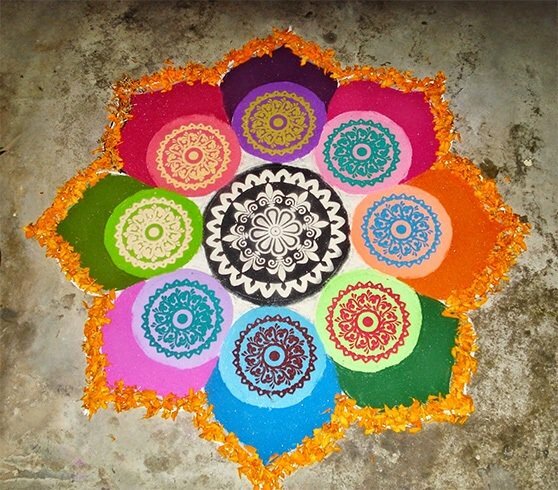 Rangoli designs can be made in various shapes using many bright color powders. 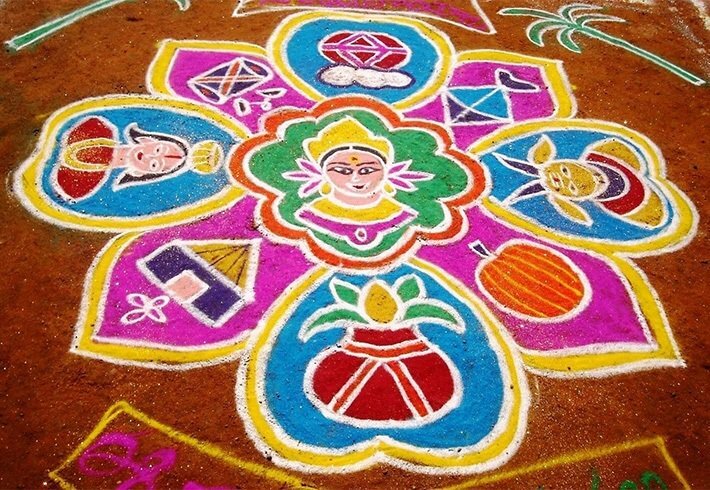 The Makar Shankranti will be celebrated on 15th January, 2019. 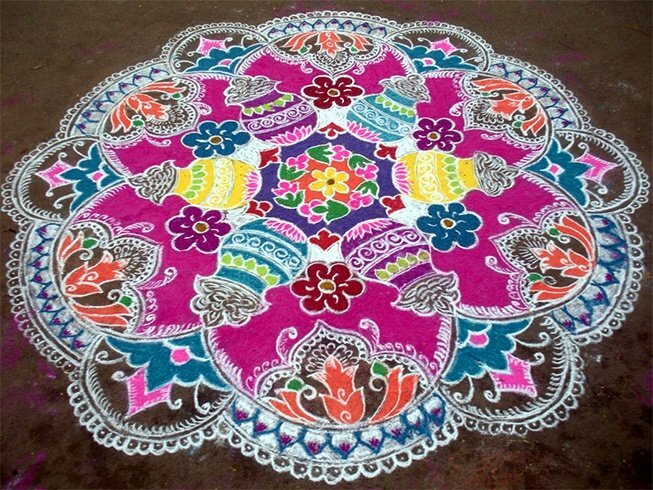 This day will see many houses decorated with flowers and rangoli designs at the doorstep. 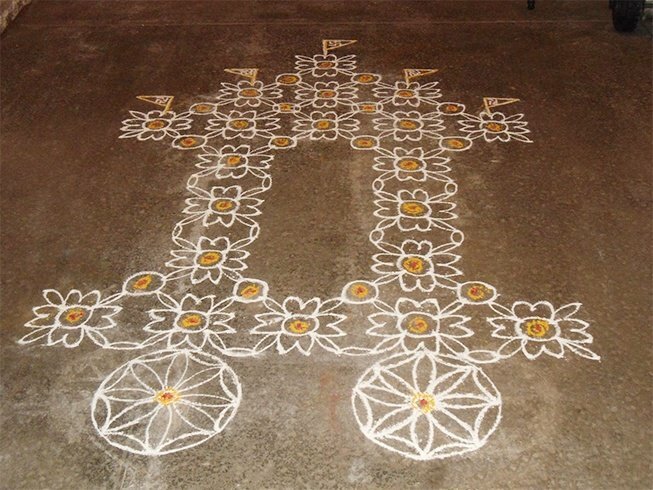 Also known as ‘muggu’ by the locals in South India, have elaborately designed rangoli’s outside their houses, and sometimes inside the house too. 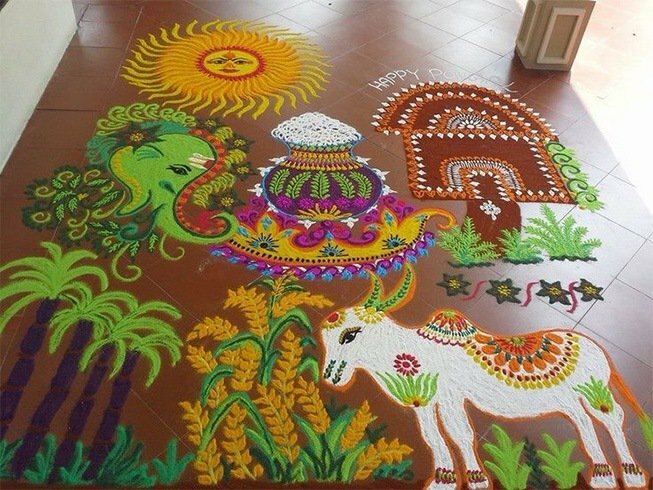 These rangoli’s scream celebration and they are colorful and often decorated with flowers, diya’s and props such as sugarcane’s, bowl of pulses, rice and so on that are harvested for the season. 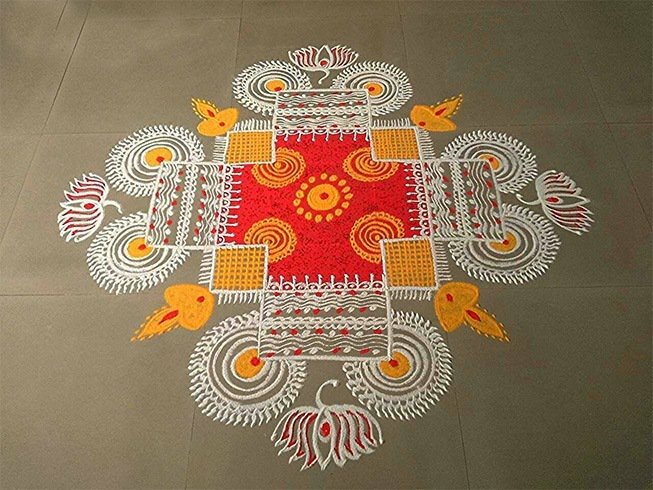 Muggu’s or rangoli’s are generally made by designing over a series of dots in patterns to make elaborate and creative designs. 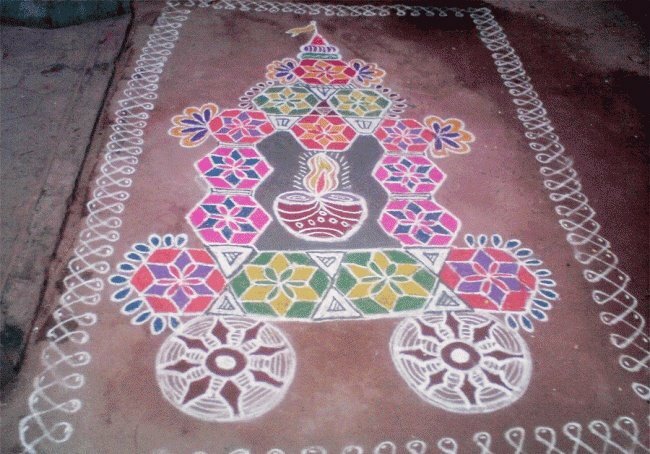 Simple rangoli designs with dots are the most commonly practiced muggu’s by girls. 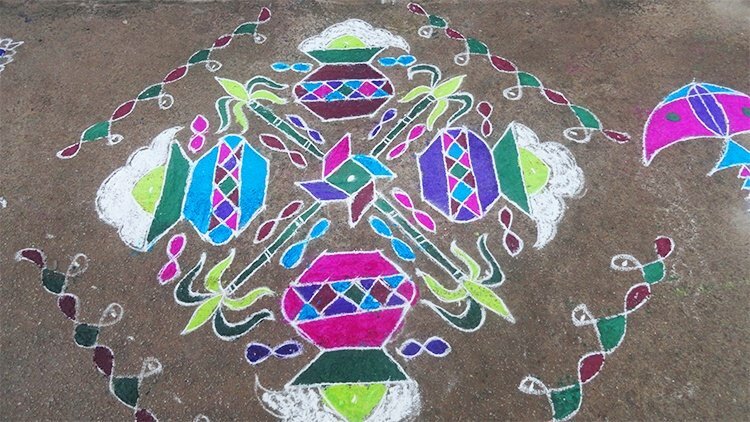 Every year, many Rangoli competitions of various types of designs, are held to find the most creative sankranthi rangoli designs. 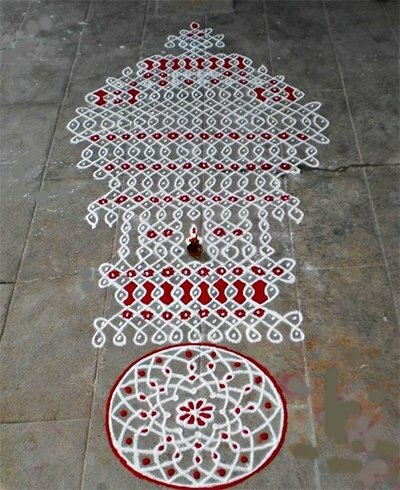 Certain states in South India also have these competitions done for a month where women and young girls make a new design every day. 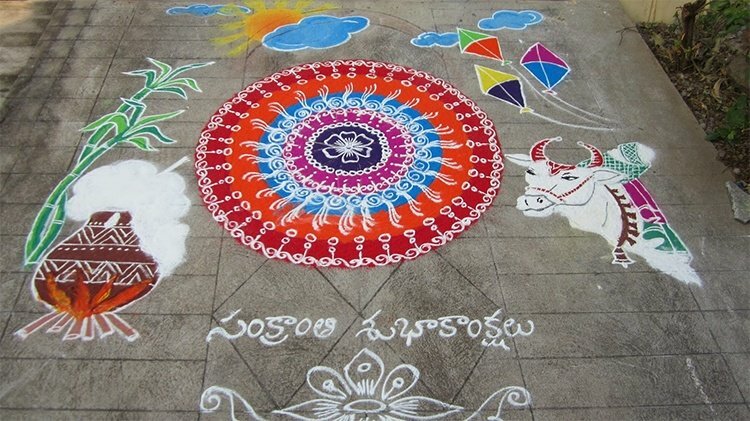 Get inspired this year by sweet and easy rangoli designs for Sankranthi! 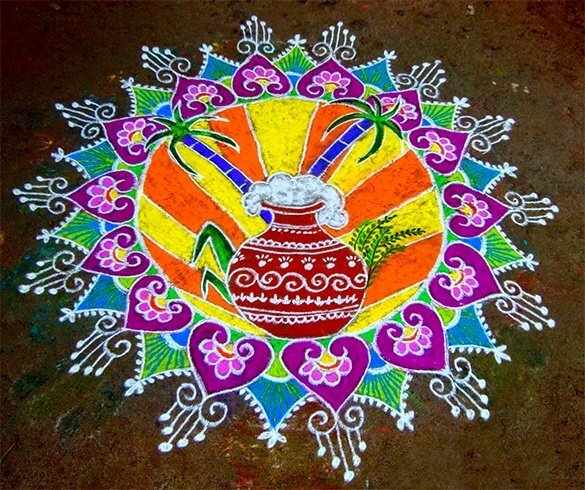 Have fun with colours and kites. 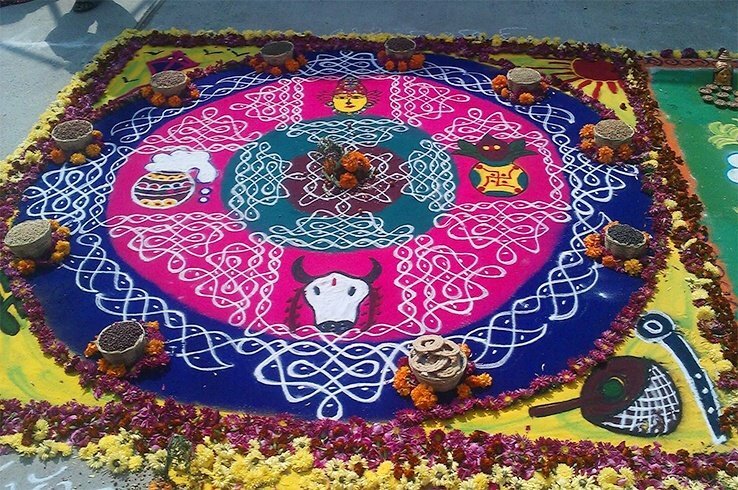 Also, don’t forget to mention below which design worked out well when you tried it!